Mathew completed a double degree in nanotechnology at RMIT, Melbourne before entering in to the field of medicine. His interests include general surgery, Indigenous and rural health and medical research. Dr. Jacob originally from India, has had a multitude of experiences in the fields of general surgery and plastic surgery after having worked in a variety of countries, such as Papua New Guinea and the Pacific Islands. He is currently the Director of Surgery at the Alice Springs Hospital. In Australia, between 2009 and 2010 almost 290 000 cases of suspected child abuse and neglect were reported to Australian state and territory authorities. Child maltreatment may present insidiously, not allowing signs of the maltreatment to be elicited until after a culmination of events. Ms. LW, a 9-month- old Indigenous female, presented to the Alice Springs Hospital emergency department (ED) with complaints of bloody diarrhea. A provisional diagnosis of viral gastroenteritis was suggested and she was managed with fluids to which her vitals responded positively. She was discharged six hours post presentation but presented three days later in a worsened condition with a grossly distended abdomen. Exploratory laparotomy found a perforated jejunum, which was deemed as a non-accidental injury. This case outlines the pitfalls in collateral communication in which we discuss the lack of use of an interpreter or Aboriginal health worker. We also emphasise the onus on junior doctors to practice in a reflective manner with the burdens of ED, so that they do not miss key diagnostic clues. Early detection of chronic maltreatment is important in the prevention of toxic stress to the child, which has been shown to contribute to a greater burden on society in the form of chronic manifestations later in life. Unfortunately it is difficult to obtain accurate statistics regarding the number of children who die from child abuse or neglect in Australia, as currently comprehensive information is not collected in every jurisdiction. Taking this into account however latest data recorded indicated that in 2006, assault was the third most common type of injury causing death for Australian children aged 0-14 years,  and totaled 27 children mortalities in 2006-07. Medical practitioners must be aware of the signs of child maltreatment and their long- term consequences, as they possess the opportunity to intervene and change the consequences of this terrible burden on afflicted children. Ms. LW, a nine month old Indigenous female and her mother presented to the Alice Springs ED at 2100, with complaints of bloody diarrhea. Emergency department staff noted that on presentation the infant was notably uncomfortable and tearful. She was afebrile, with mild tachypnoea (50 respirations per min) all other vitals were normal. 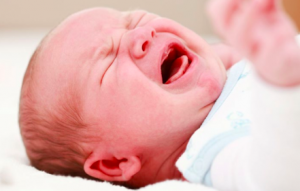 Examination of the infant revealed discomfort in the epigastric region with no other significant findings including no organomegaly or distention. No other abdominal signs in particular signs such as guarding or rigidity were noted on admission. Systemic review did not show any significant findings. Past medical history included recurrent chest infections with the last episode two months prior. No immunisation history was available. The staff had difficulty examining the child because she was highly irritable. It was also difficult to elicit a comprehensive history from the mother as she spoke minimal English and was relatively dismissive of questions. No interpreter was used in this setting. The patient was diagnosed with viral gastroenteritis and treated conservatively by the administration of intravenous fluids to maintain hydration. After six hours of observation and a slight improvement in Ms. LW’s vitals she was sent home in the early morning hours after intense pressure from the family. No other treatments and investigations were done and the staff discharged her with the recommendation of returning if the symptoms worsened over the next day. The patient returned three days later to ED with symptoms clearly of a different nature and not that of the previous diagnosis of gastroenteritis. On general observation the patient appeared unwell, irritable and was crying weakly. On examination she was found to be febrile (40°C) and toxic with tachycardia (168 bpm) tachypnoea (60 respirations per minute), and gross distention of her abdomen (Figure 3). The case was referred to the on-call surgeon, who gave a provisional diagnosis of perforated bowel and decided to perform a laparotomy. She was immediately started on intravenous broad-spectrum antibiotics, ampicillin (200mg /6hourly), metronidazole (30mg /12 hourly) and gentamicin (20 mg/daily) before surgery. Emergency laparotomy was performed, and on initial exploration it was found that the peritoneum contained foul smelling serous fluid with a mixture of blood and faecal matter. Further exploration found perforation of the jejunum with the mesentery torn from the fixed end of the jejunum (Figure 5). The surgeons resected the gangrenous portion of the jejunum and performed an end-to-end anastomosis of small bowel. The abdomen was lavaged with copious amounts of warm saline and the abdominal wall was closed in interrupted layers. Post surgery the child remained intubated, ventilated and was admitted to the ICU. After 24 hours post surgery the infant was extubated successfully and oral feeding was commenced after 48 hours post surgery. The patient made an uneventful recovery and was later transferred to the paediatric ward. The surgeons commented that the initial perforation to the jejunum fixed to the mesentery caused de-vascularisation of this portion, leading to the further degradation and gangrenous state of the intestine and thus worsening the child’s condition. As the surgeons had indicated that this injury was of a non-accidental nature the parents of the infant were brought in to be interviewed by the consultant, with the aid of an interpreter. The parents denied any falls or injuries sustained in the events leading to the presentation, which the surgical team had already exclude, due to the absence of associated injuries and symptoms. The consultant noted that both parents were not forthcoming with information even with the aid of an interpreter. Further questioning from the allied health team finally led to an answer. The father admitted that on the morning of the initial presentation while he was sitting on the ground his daughter pulled his hair from behind him to which he responded by elbowing her in the mid-region of her abdomen. Upon obtaining this information a skeletal survey was undertaken, in which a hairline fracture of the shaft of the left humerus and minor bruising in this region was found. The infant was assumed into care under the basis of neglect and the case was mandatorily reported to Child Protective Services. The parents were then reported to the police for further questioning and probable court hearings. Once the patient was stable, she was discharged into the care of her grandmother, with a further review to be made by Child Protective Services at a later date. Child abuse is still a cause for concern in Australia although there has been a decrease in substantiations since 2007. Although the total substantiations have decreased, on a state level, Victoria, South Australia, Western Australia, Tasmania and the Northern Territory have recorded an increase in the number of abuse substantiations. The most common abuse type reported in the 2010-2011 was of emotional abuse (36%) followed by neglect (29%), physical abuse (22%) and sexual abuse (13%). Children who suffer through maltreatment not only have physical burdens placed on them, they often have many associated long-term problems. The term recently coined is ‘toxic stress’, which results from sustained neglect or abuse. Children are unable to cope and hence activate the body’s stress response (elevated cortisol levels). When this occurs over a prolonged period of time it can lead to permanent changes in the development of the immune and central nervous systems (e.g. hippocampus). This combination results in cognitive deficits that result in unwanted manifestations during adult life including poor academic performance, substance abuse, smoking, depression, eating disorders, risky sexual behaviors, adult criminality and suicide. These health issues contribute to a significant proportion of society’s health burden. Previously we alluded to the fact that the child protection data only reflects those reported to the child protective services. Economically disadvantaged families are more likely to come into contact with and be under the scrutiny of public authorities. This means that it is more likely that abuse and neglect will be identified in the economically disadvantaged,  however child abuse may occur in all socioeconomic demographics. This case illustrates the common pitfalls in the clinical setting, one of these being the lack of a clear history obtained at initial presentation. It was mentioned that there was poor communication between the patient’s mother and the attending to gain any meaningful information, yet there was no use of an interpreting service or Aboriginal health workers. As Aboriginal health workers have usually lived in the community they work in and most have developed lasting relationships with the community and with the various government agencies. This makes them experts at bridging the communication gap between the patient and the doctor. Another clinical pitfall demonstrated by this case was the poor examination of this infant, and the failure to recognise important signs such as guarding and rigidity – highly suggestive of insidious pathology. These finding would lead a clinician to perform further investigations such as a CXR or CT-scan which would have determined the underlying pathology. Additionally, no systemic examination was conducted in the haste to discharge the patient from ED. However, this meant, another important sign of abuse – the bruising on the infant’s left arm, was missed. Additionally, no investigations were performed when the infant initially presented to ED and hence, the diagnosis of viral gastroenteritis was not confirmed. Furthermore, bacterial gastroenteritis was not properly excluded although it is highly likely in the context of bloody diarrhoea. Emergency department physicians have many stressors and constant interruptions during their shifts and this combination is known to cause breaks in routine tasks. In 2008, the Australian Medical Association conducted a survey of 914 junior doctors and found that the majority of individuals met well established criteria for low job satisfaction (71%), burnout (69%) and compassion fatigue (54%). These factors indirectly affect patient outcomes and in particular, can lead to overlooking key diagnostic clues. With the recent introduction of the National Emergency Access Target (NEAT), also know as the ‘4 hour rule’, statistics have shown that there has been no change in mortality. [11,12] However, this is a recent implementation and there is a possibility that with junior doctors and nursing staff pushed for a high turnover of patients, that child maltreatment may be missed. 1. Early recognition of child abuse requires a high index of suspicion. 2. Be familiar with mandatory reporting legislation as it varies between state/territories. 3. As junior doctors it is imperative that we use all hospital services such as the interpreting services and the Aboriginal health workers. We can thus enhance optimum history taking. 4. It is important to practice in a reflective manner to prevent inexperience, external pressures and job dissatisfaction from affecting patient quality of care. 5. Services should be encouraged to have Indigenous social/case workers available for consultation. Paediatric presentations within a hospital can be very challenging, and as junior doctors have the most contact with these patients, they must be aware of important signs of abuse and neglect. We have outlined the importance in communicating with Indigenous patients and the related pitfalls if this is done incorrectly. Doctors are in a position to detect child abuse and to intervene before the long-term consequences manifest. Informed consent was obtained from the next-of-kin for publication of this case report and all accompanying figures.